Vignoble Galineau is a vineyard perched on one of the highest hillsides in the village, at an altitude of 125 metres, between the Garonne and Dordogne Rivers, with northern and southern exposure. It covers 51 hectares (126 acres) of red varietals (60% Merlot – 5% Cabernet Franc – 25% Cabernet Sauvignon – 8% Malbec – 2% Petit Verdot) and 3 hectares (7.5 acres) of white grapes on a single plot. The soil is clay limestone and loamy clay. For the last two decades, we have been engaged in sustainable wine-making (a strategy that incorporates environmental protection into the production process). 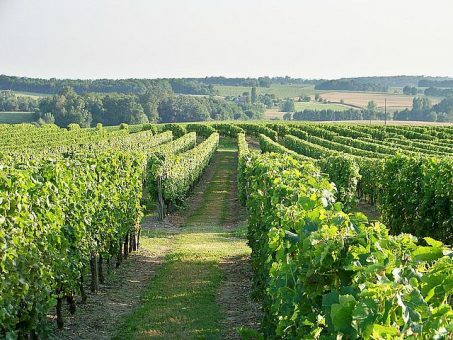 Our compliance with environmental winery standards earned us Level II AREA certification (for environmentally-friendly agriculture in the Aquitaine region). Some of our wine-making work, like removing side shoots and leaves from the vines, is done both manually and mechanically. At present, we are embarking into the world of the Bordeaux Wine Environmental Management System (SME). 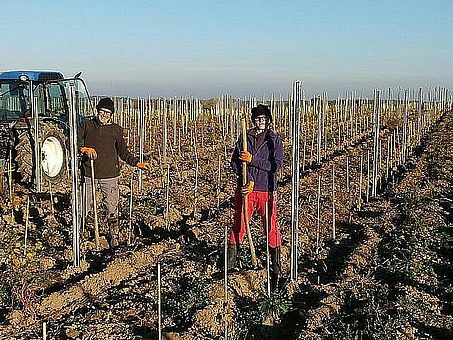 This approach, oriented towards collective environmental progress, incorporates all of a winery's activities, from the vine to the table (water and energy consumption, vineyard management, waste and effluent management, cultivation methods, health and safety, and so on). The Environmental Management System is based on ISO 14001 methodology. Vignoble Galineau is a regular feature in specialized publications the likes of, Le Guide du Vin Dussert Gerber, Gilbert & Gaillard, and Sommeliers International.